The Gin Goblin has arrived! I love how this gin, green tea and cucumber cocktail turned out. It’s perfect for Halloween night, if you’re having a few friends over to pass out candy. You can make 4-6 six in a batch which is easy for entertaining. 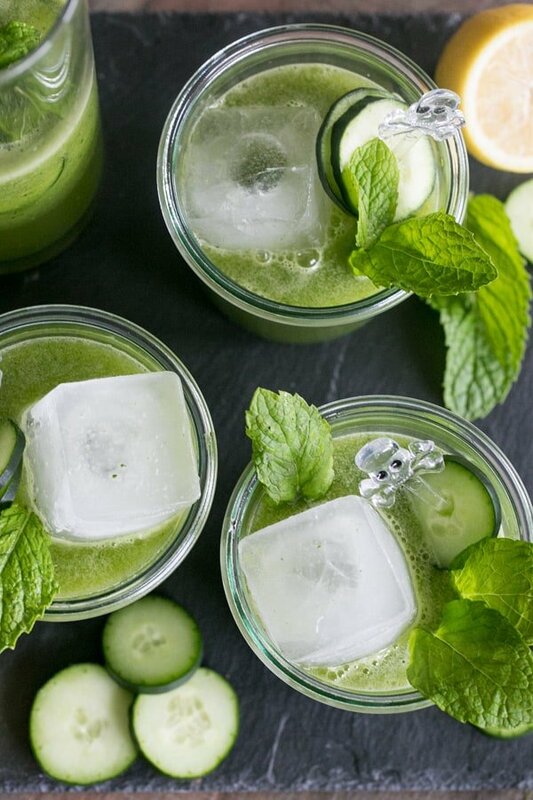 It’s extremely refreshing and even somewhat healthy! 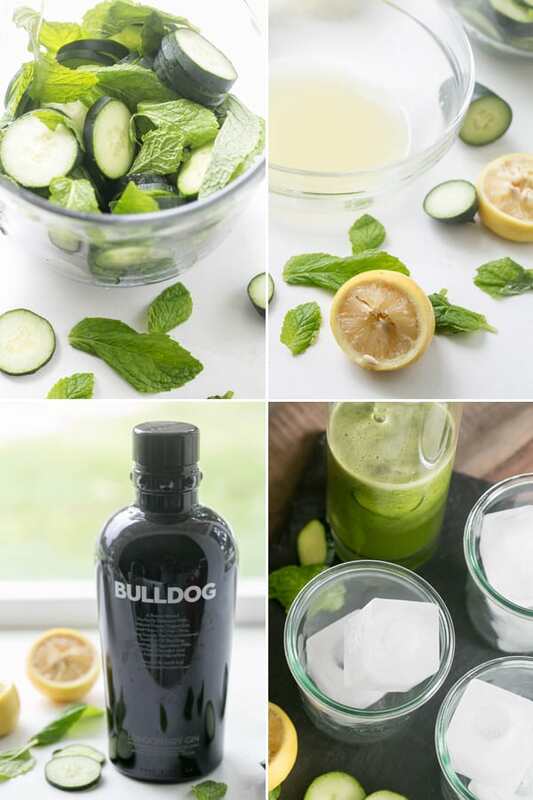 It has green tea, cucumber, mint and lemon. You can add a little kiwi as well if you want to give it an extra kick of sweetness. I enjoyed sipping a cocktail that wasn’t too sweet and that I didn’t feel guilty about drinking, especially with all of the Halloween candy I’ll be eating! Brew the green tea or buy unsweetened green tea. In a pitcher add the green tea, lemon juice and honey. 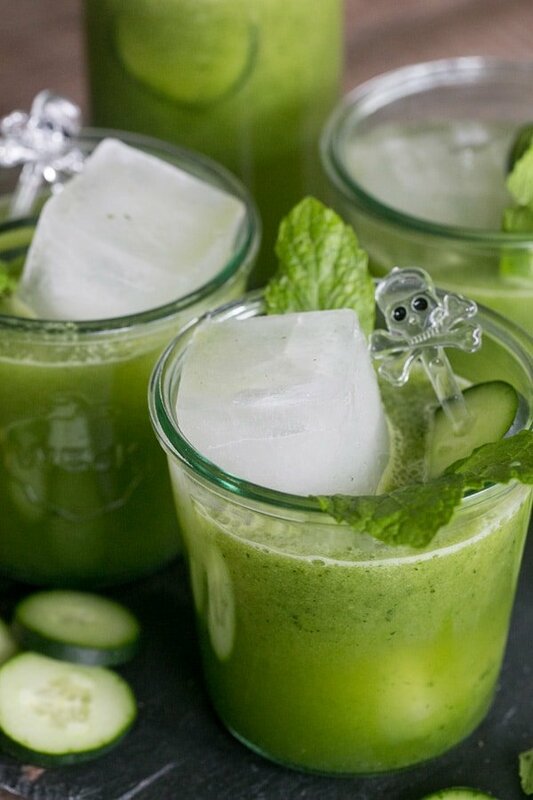 Toss the sliced cucumbers and mint in a blender. Pulse until chunky. Add half of the green tea mixture to the blender and continue to blend the cucumbers and mint with the green tea until smooth. Add the mixture you just blended into the pitcher with the rest of the green tea and stir, until everything is combined. Serve with giant ice cubes. 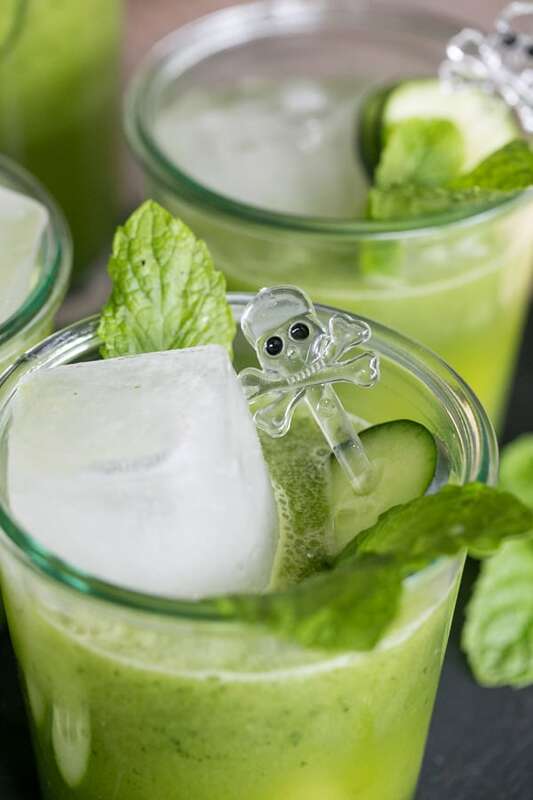 Garnish with mint, cucumbers and of course a spooky skeleton! MM! Love this! As an avid green tea drinker, this might be my new go-to cocktail. Can’t wait to try this drink on Yacht Green Flash for our charter guests! Thank you for posting! This looks awesome!! I love ALL of these ingredients. Sounds great! When is the best time while concocting to add the gin for a well mixed drink?